· Saute onions in 2 Tbsp water for 5 minutes. · Add mushrooms, 1 tsp dill, 1/2 cup water, soy sauce, and paprika. · Cover and simmer 15 minutes. · Melt Miyoko’s vegan butter in large saucepan. · Whisk in flour and cook, whisking, a few minutes. 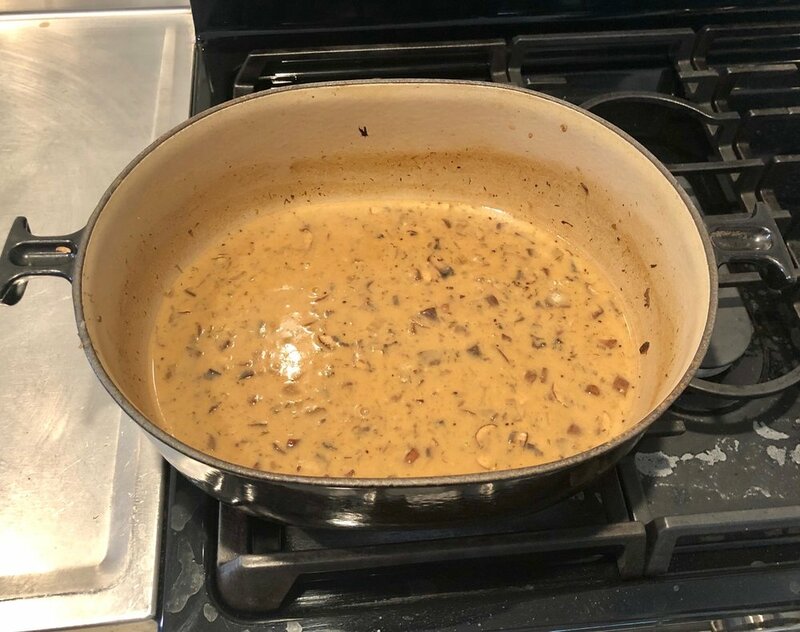 · Add milk and cook, stirring frequently, over low heat about 10 minutes until thick. · Stir in mushroom mixture, 2 cups of water and 2 teaspoons of stock. · Cover and simmer 10-15 minutes. · Just before serving, add salt, pepper, lemon juice and, if desired, extra dill (1 tsp). · Serve garnished with parsley.